Spinlight Studio is celebrating the 12 Days of Christmas by giving away an app each day! Thank you, Spinlight Studio. Today’s FREE app is Tally Tots, an educational app that teaches kids to count to 20. 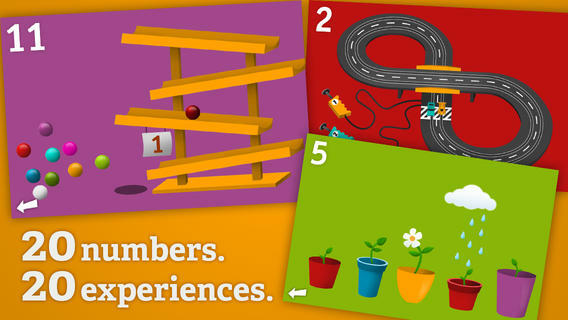 The app features 20 interactive mini-games that make learning numbers and counting fun. Kids race 2 cars, make bubbles in 6 colors, place 10 shapes into a puzzle, feed a chipmunk 19 acorns, etc. The app features something unique for each number with lots of positive verbal encouragement along the way. Tally Tots is the perfect choice for young kids learning to count!